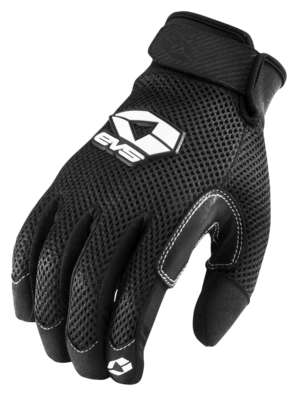 EVS 2017 Laguna Air Motorcycle Gloves - Blockers Enterprises, Inc. The Laguna Air Glove is a summer riding glove designed with maximum breathability in mind. It is lightweight and features leather palm reinforcements for increased abrasion-resistance.